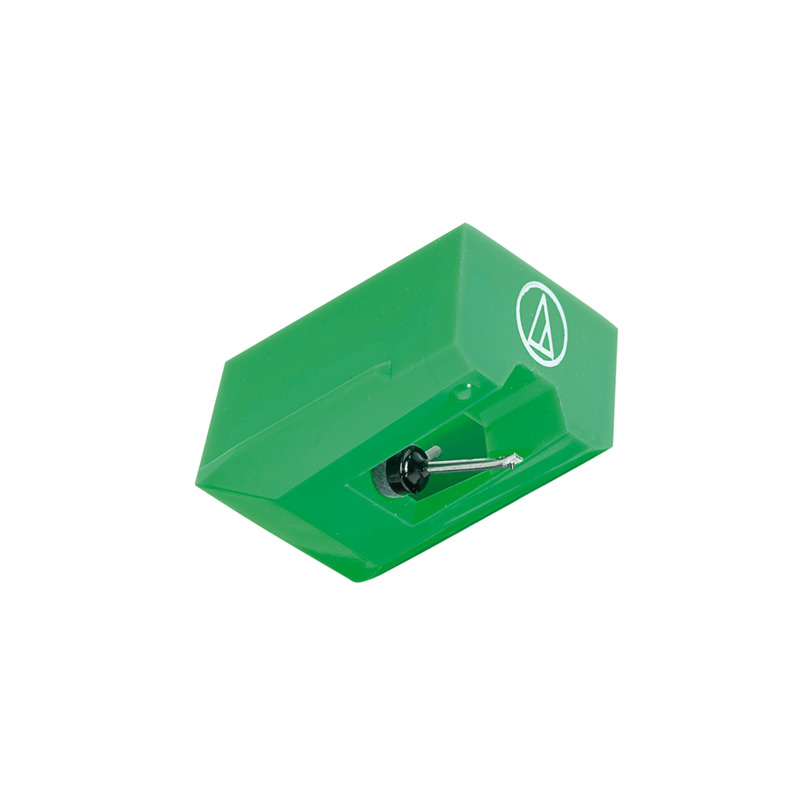 Revitalize your turntable with this Audio Technica ATN95E replacement stylus. Compatible with the AT-LP120USB turntable and AT95E cartridge, this stylus delivers outstanding tracking and tracing of record grooves for exceptional audio quality. The ATN95E Elliptical Diamond Stylus from Audio-Technica is a replacement stylus for the AT95E Dual Magnet Phonograph Cartridge. It tracks record grooves with high accuracy for superior audio reproduction. The Audio-Technica AT95e AT-95e Phono cartridge is a really great budget moving magnet cartridge. 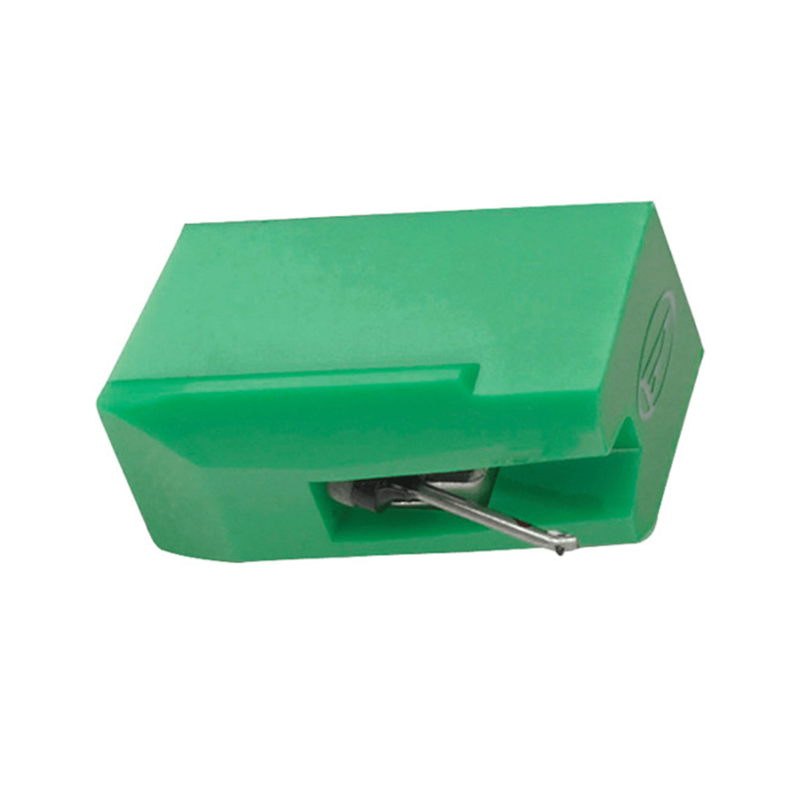 Enjoy great accurate tracking, separation, and performance when listening to your favorite vinyl with this magnet Phono cartridge. The 1/2-Inch mount cartridge features an elliptical shaped diamond stylus that tracks portions of the groove that spherical styli simply cannot reach, ensuring that high-frequency passages sound clear and crisp. The elliptical shape also wears remarkably evenly, extending the lives of both the record and the stylus itself (up to 1,000 hours. Your music will sound richer when the Audio Technica ATN95E Stylus for the Fluance RT81 rests in the grooves of your favorite vinyl record. Stylus selection is arguably one of the most important factors in the quality and enjoyment of your vinyl records. The combination of a high performance stylus, turntable, & speaker system work together in producing the highest fidelity sound possible. The Audio Technica ATN95E is renowned for its freedom from noise and distortion, clarity on musical peaks, and channel balance. With a precision tracking force of 2.0g, rest assured your records will play to its maximum audio performance while minimizing record wear and improving the life of your vinyl record. The Audio Technica ATN95E true diamond tip & elliptical shape ensure excellent channel separation and low distortion, as well as extended frequency response and superb groove tracking for a truly hi-fi experience. Its build quality also allows for extended stylus life. Designed & constructed for ease of use and reliability – easily replace your existing needle in seconds using simple snap technology. Replacement styli are precision manufactured to restore A-T cartridges (and many other popular brands) to their original performance. The illustration(above) represents the basic method of stylus removal and replacement. The stylus must be fully seated on the body for proper performance. 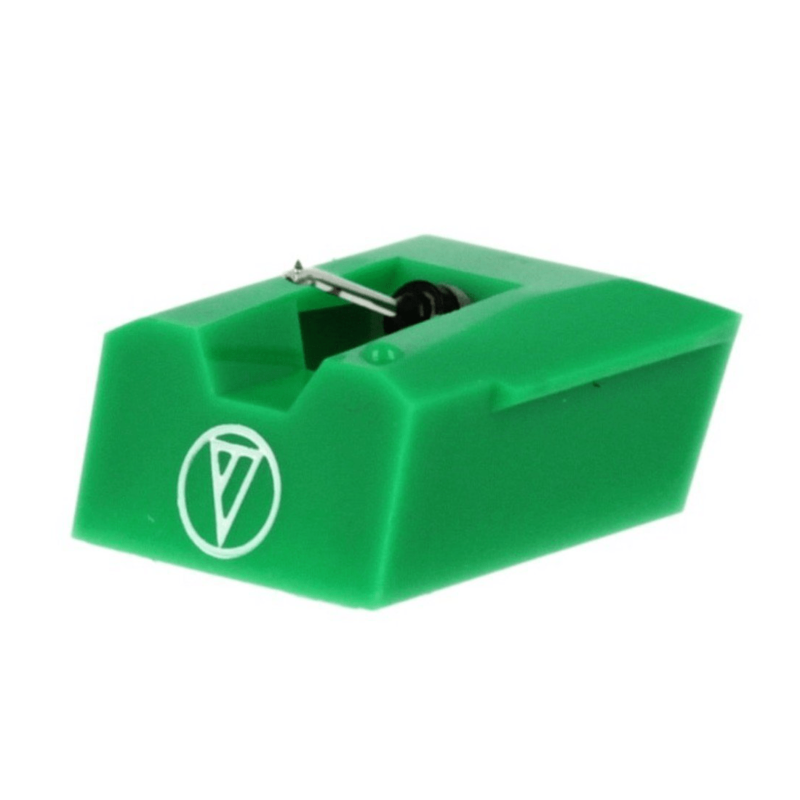 To remove old stylus (needle), hold the cartridge in one hand, grasp the plastic stylus housing with thumb and forefinger, and pull away from the cartridge. The stylus assembly comes away at a slight angle, as indicated by the arrow. 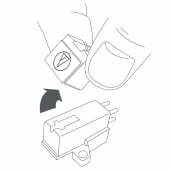 To install replacement stylus, insert the new stylus assembly into the cartridge at a slight angle, so the hook at the end of the stylus fits into the slot in the cartridge body. The stylus assembly should click into place when fully seated on the cartridge. The stylus must be fully seated on the body for proper operation. 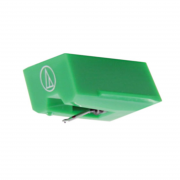 Audio-Technica has been perfecting the art of transducer technology since our first hand-crafted phono cartridge in 1962. Audio Technica 1 Year Limited Warranty.